Personalization in fundraising communications is all the buzz in 2016. However, the definition of “personalization” appears to vary from one person to the next—and certainly one organization to the next. How you personalize your fundraising communications can make a big difference in the number of donors and dollars generated for your program. Years ago, personalization meant simply putting the person’s name and address in a letter. Those days are gone. Personalization in 2016 is, and must be, more than just mail-merging someone’s name. Use informal names with donors. Make content relevant to donors. Make more strategic ask amounts. 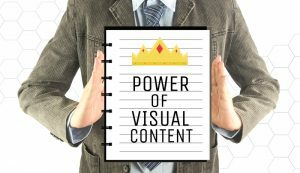 Use visuals to communicate quickly. Have the signatory be meaningful to donors. While personalization is more than just a name, how you address the donor at the start of your fundraising communication sets the tone. This goes for cultivation, stewardship and solicitations alike. In the fundraising world, we all talk about wanting to build relationships with our donors and supporters; charitable organizations want donors to feel they are part of one big family. If donors are part of your family, and you want prospects to be in your family, ask yourself this question: how many members of your family call each other Mr./Mrs./Ms. anything? Don’t friends and family members usually call each other by their first names? If you’re not consistently using first names in communications, consider doing it in 2016. Set a relationship tone with your donors and prospects that evokes emotion, friendship, and familial ties. Content relevancy can be especially tough in higher education fundraising communications. Does a donor care about their area of study? Sports teams? Musical and theatrical ensembles? Research? Endowment vs. immediate use? Student life? There are hundreds of options. 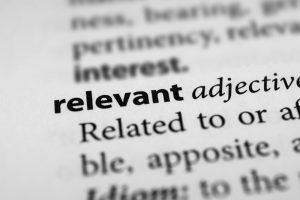 So how do we know what is relevant to donors? The easiest place to look is at their current and past gift designations. Those designations are a means of self-identification of what is important to the donor. Use that information and develop content to increase the donor’s giving. Another way to find out what your donors and prospects care about is to ask. Survey them about not just their interests, but specifically their giving interests. Capture that information in your database and run some analyses to determine the biggest opportunities. Then act on those opportunities. Every organization has their priority funding areas, and there’s no reason why you shouldn’t also develop those cases for giving. However, don’t solely continue to communicate with your donors and prospects about your organization’s interests. Communicate about their interests as well. I’ve been asked a lot recently about ask amounts. Much of what fundraisers do is based simply on “that’s how we’ve always done it.” However, that’s not always the most strategic approach. Remember, the purpose of the ask amount is akin to a suggestive sell. That means motivational factors are at work. Is your current array really helping to upgrade donors? Conversely, could your array be posing a negative influence? Recently published research and testing has given us some great insight into this area of donor psychology, a lot of which was the basis for my recent white paper on gift arrays. Rather than repeat everything here, I encourage you to download that gift array white paper and read for yourself. One minute of video is the mental equivalent of 1.8 million words. The human eye processes an image in just 13 milliseconds. These stats help support the notion that visuals are processed by the brain as much as 60 times faster, and with greater retention, than words. The old saying “a picture is worth a thousand words” may be off a bit on the math in today’s society, but the thought is still very relevant. Take a look at where you can replace words with relevant visuals in your donor communications. Another question I’ve been asked lately is “who should sign the letter?” In higher education, we frankly default more often than we should to a campus president or dean. For the signatory to have significant impact on your results, your goal should be to pair a relevant signatory to a relevant message. More importantly, this should be taken from the donor’s point of view and not your organization’s view. So much fundraising success happens these days with peer-to-peer models, including via crowdfunding platforms like the one our campus partners use. The person making the ask in those channels is analogous to a signatory in channels like direct mail and email. Applying those principles across all channels should yield better results overall. 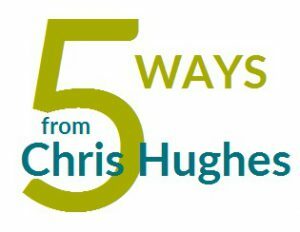 What ties these five things together is that they’re all part of personalizing a communication. It doesn’t matter if you’re using direct mail, email, social media, crowdfunding, telefund, or any other channel. As of November 2015, there are more than 1.5 million tax exempt charitable organizations in the U.S. Donors are going to decide which charities and organizations receive their support based in no small measure on which ones feel more personal. No matter how big or small your database, everyone can take advantage of their database assets. Listen to what your donors and prospects are telling you through their past actions, and use that information to not only motivate their emotions, but also their wallets. If you have any questions about these strategies and how you can make stronger connections in your fundraising communications, please email me.